Whether you’re into vintage wines, horseback riding, nature walks, or sculpture gardens, our Staff Picks page is sure to point you in the right direction. Follow our feed for more information about local area attractions and upcoming events. When visitors first arrive in Napa Valley, they are inevitably struck by the idyllic natural setting, defined by towering redwood trees, magisterial mountains, and sprawling vineyards. Napa is more than just a place to reconnect with nature, though; it’s also one of the most culturally rich regions of Northern California. 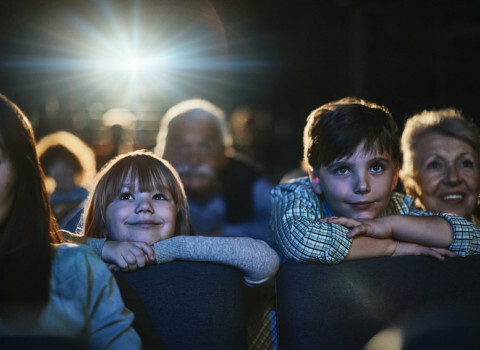 For guests who’d like to indulge in the art of film during their stay with us, we recommend a trip to the Cameo Cinema, located just a mile from our hotel. With its classic marquee and bright red vertical sign, the exterior of the Cameo recalls a bygone era of motion picture magic. Once inside, you’ll feel as though you’ve truly entered a portal to the past as you marvel at 1920s décor and movie posters from the Golden Age of Hollywood. The Cameo screens both niche indie films and big-name blockbusters, and the traditional movie-house seating is roomy and comfortable (for a more romantic experience, opt for one of the purple love-seats). Though the Cameo boasts one of the oldest film screens in the country, the cinema’s technology is cutting-edge, with all-digital projection and a sound system that rivals the very best in the industry. You can also purchase a range of drinks and snacks to enjoy, whether you’re in the mood for a bucket of buttery delicious popcorn, a refreshing scoop of gelato, or one of several vegan bites. The history of Napa Valley is a tapestry woven from dreams of lush vineyards and fine wines. One particularly remarkable dreamer, Rene di Rosa, made his dream a reality when he founded the Winery Lake Vineyard in the 1960s. Then, after decades producing some of the finest grapes in the region, di Rosa transformed his vineyard into the site of a now internationally renowned contemporary art center. During your visit to the di Rosa Center for Contemporary Art, you’ll marvel at galleries exhibiting cutting-edge work from the mid-twentieth century to today by some of the best artists of Northern California, including Paul Kos, Lynn Hershman Leeson, Viola Frey, Jay de Feo, Bruce Conner, Robert Arneson, and many others. You’ll also have the opportunity to stroll through the bucolic natural surroundings, which feature a crystalline 35-acre lake complemented by an extensive sculpture garden. For cozy, one-of-a-kind specialty shops, downtown St. Helena can’t be beat. If you feel like taking a short drive, though, you can enjoy deep discounts on some of the world’s most popular name brands at Napa Premium Outlets. 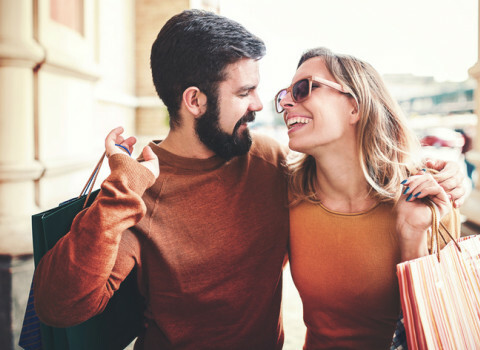 Located about 20 minutes by car from our hotel, Napa Premium Outlets packs 50 outstanding stores, including Brooks Brothers, Calvin Klein, Coach, J. Crew, Kate Spade, Michael Kors, Polo Ralph Lauren, Tommy Hilfiger, and much more. If you’re anything like us, a day of shopping really works up your appetite. Fortunately, Napa Premium Outlets has you covered there too with an array of quick bite options to keep you energized, whether you prefer Mexican, American, Chinese, or another of the international flavors on the menu. Once you’ve filled your bags with all the trendy merchandise you can carry, head back to the Harvest Inn, where you can relax with a glass of wine (or two) and indulge in the valley’s freshest farm-to-table fare at our acclaimed Harvest Table restaurant. Just a short 12-minute drive from the Harvest Inn, the Napa Valley Museum commemorates the rich cultural identity of our magnificent region through exhibits that showcase art, history, and nature. The museum is divided into three main sections: the Main Gallery, where you’ll marvel at West Coast and world premieres; the Spotlight Gallery, which focuses on local happenings and up-and-coming talent; and the History Gallery, which draws from the museum’s permanent holdings to showcase an ever-shifting vision of Napa Valley’s rich history. Current exhibits include Walt Disney’s Trains, which explores the fascinating influence of the American railroad on the beloved filmmaker’s work, and Land and People of Napa Valley, which shows how one-of-a-kind geology has allowed Napa Valley to become the world-famous wine-making region it is today. The museum is open Wednesday – Sunday from 11 A.M. – 4 P.M.
With its mild Mediterranean climate, gorgeous rolling hills, and expansive vineyards, there’s no wrong way to tour Napa Valley. To really take in the sights, though, nothing beats a birds-eye-view, and with Napa Valley Aloft Balloon Rides, that’s exactly what you’ll get. Established forty years ago, Napa Valley Aloft is a family-owned organization that has earned its place as one of the finest balloon operators in the region. Even better, NVA is based in the charming V-Marketplace of Yountville, just a quick 15-minute drive from the Harvest Inn. With the friendly, professional staff of NVA, not only will you be treated to one of the safest and most thrilling experiences of your life, but you’ll also have clear views of the sublime landscape below since, unlike their competitors, NVA keeps the passenger load low for each flight. Special deals for small, private parties are also available. At Harvest Table we pride ourselves on working with local Napa Valley ingredients and purveyors. One of Executive Chef Chris Kurth's beloved purveyors is Five Dot Ranch, which is where we get custom aged beef. Five Dot Ranch's custom aging program takes place at their butcher shop in Oxbow in Napa Valley. The Swickard family and Five Dot Ranch, have been raising cattle in California for seven generations. All natural, locally raised and fed, they are right in line with our culinary ideals at Harvest Table. Chef Chris said, “Keep it local, keep it simple, and let the ingredients speak for themselves. I love these steaks. The 28-day age is just enough time to allow the flavors of the beef to concentrate and for the fat to begin to lose a good a bit of water. I believe in letting the steaks come up to room temp, then searing them on a hot cast iron. It usually takes about 3 minutes per side on a medium high heat. Once the fat begins to render and you see the little golden brown crispy bits beginning to form, that’s when you know it’s looking good. From there we finish it in the oven at 350 degrees for about another 5 mins for medium doneness." At Harvest Table we pair their steaks with a bright herby ravigote, panisse, and trumpet mushrooms. "For this dish we use a crispy panisse. Panisse is sort of like polenta, but it’s made with chickpea flour. We bake it off in a large cake, like you would polenta, then we cut it into smaller cakes and we fry them to order. It’s a very traditional Mediterranean dish. It’s sort of like a play on steak frites. All over the Mediterranean, people will make panisse like you would large French fries. Fry them up and chow down. Ours are cut into circles, but have the same warm “feel good food” taste to them. Then we add a few roasted king trumpet mushrooms and finish with a bright herby ravigote. Ravigote can be made creamy or herby, and we choose the latter. Make this at least a day ahead, allowing the flavors to meld. Similar to chimichurri, this sauce brightens the deep earthy flavors of the aged beef and the mushrooms. We mix chives, parsley, capers, shallots, chervil, tarragon, & garlic, from our gardens, with sunflower oil and a bit of red wine vinegar. Spoon this on top of the steak before it goes out, & that’s it. Simple, clean, and delicious." Though you may not have heard of The Silverado Squatters, a memoir of the author's two-and-a-half months spent in Napa Valley, we’re guessing you’re more familiar with the author’s other two books, Treasure Island and Strange Case of Dr. Jekyll and Mr. Hyde. In the summer of 1880, Robert Louis Stevenson traveled with his new bride to Napa Valley, where they honeymooned in a little cabin amid an old mining camp. Today, Robert Louis Stevenson State Park offers visitors the perfect day-trip destination for moderate to difficult hiking adventures. Dedicated hikers will be particularly interested in the 5-mile journey up Mount St. Helena, where, on a sunny, clear day, the gorgeous view stretches all the way to Mount Shasta, about 192 miles northward. Be advised, however, that while the park offers outstanding hiking trails, bathrooms are not plentiful, and you’ll want to pack plenty of water to stay hydrated while you enjoy the breathtaking scenery. As you probably guessed from our name, harvest season is one of the most special times of year to us here at the Harvest Inn. Though the season can stretch from late July all the way to December, depending on variables like microclimate, soil type, and winemaking style, September and October really mark the high point of the harvest. 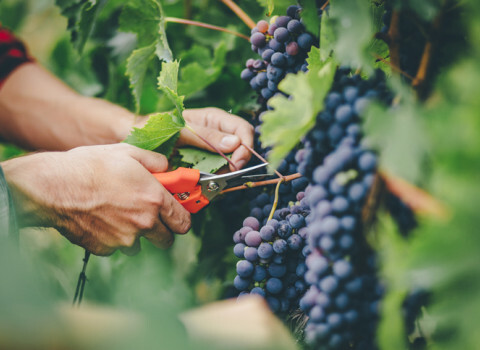 After nearly half a year of pruning, bud breaking, flowering, crop thinning, canopy tending, and veraison, it’s time for that thrilling moment when the ripened grapes will finally be plucked from the vine. This is usually done by hand under cover of moon and stars. The lovingly harvested grapes are then tested to ensure proper sugar content and, of course, exquisite flavor. With the immense variety of grapes, and corresponding range of vintages, produced in Napa, you’d probably guess that Napa Valley is an enormous place. Not so: at just 30 miles by 5 miles at its widest, Napa Valley accommodates only about 13% of the vineyard acreage you’d find in the comparably acclaimed winemaking region of Bordeaux. As a guest of the Harvest Inn, you can enjoy the fruits of this year's harvest while luxuriating in your spacious and cozy Vineyard View Collection room, with breathtaking panoramic views of Whitehall Lane's Leonardini Family Vineyards. We’re proud that a quarter of the selections on our wine list are locally sourced, a number that continues to grow as we work diligently to bring you the very best of what Napa Valley has to offer. Getting married in Napa Valley is a fantasy come true for couples that enjoy exquisite wines and breathtaking scenery, which let’s be honest, probably applies to most of us. Imagine walking down a perfectly manicured lawn up to a gazebo draped in flowers with the Mayacamas Mountains in the background. The natural beauty makes it easy to have unforgettable memories. Harvest Inn weddings can be as intimate, majestic, charming, or refined as the couple desires. Basically, if you can dream it, we can do it. Let us set the scene for the rest of your lives. From our expert culinary team to our talented event planners, we only provide the finest service and look forward to helping you pin down every glorious detail. Immerse yourself in the imaginative verses and wine-inspired poems of Robert Louis Stevenson while visiting St. Helena. Some might wonder why a museum dedicated to the Scottish-born writer resides in the hills of Napa Valley? Stevenson spent his honeymoon in the Mount St. Helena and published his two-month account of roughing it while living on an abandoned mine in 1833 as Silverado Squatters. Some of his most famous works are Dr. Jeckly and Mr. Hyde, A Children’s Garden of Verses, and Treasure Island. The one-room museum houses a collection of over 9,000 items, including first editions and rarely seen manuscript pages of Stevenson’s works. Look upon the desk where he wrote his most celebrated masterpieces while exploring childhood letters, drawings, toys, and books from his private library. The environment is warm and welcoming and appeals to fans and curious visitors. Complete your homage to the author with a hike to nearby Robert Louis Stevenson State Park and take note of Napa Valley’s iconic highway sign: “Wine is Bottled Poetry,” which is derived from a Stevenson work. Imagine walking through the early vineyards of Northern California. The sun shining across the rolling hills and the fragrant wind billowing through the grapevines. Although wild grapes grew in Napa Valley, it wasn’t until the mid-1800’s when John Patchett created the first commercial Northern California vineyard and winery. Over a hundred years would pass before the robust flavor of California Cabernet Sauvignons would receive international praise, surpassing French winemakers in the 1976 Judgment of Paris. From 1988-1998 the plantings of Cabernet Sauvignon had doubled, and the grape dominated most of the wine regions in Northern California. Napa County Cabernets are famous for their intense black fruit profile, while flavors of anise and dark olives characterize Sonoma County. Over the last two decades there has been a movement towards and away from aging in oak, leaving it to the discretion of the winery. The variety of flavors has lent to the modern trend of wines complementing local farm-to-table meals. Indulge your palette at Harvest Table, our on property gourmet restaurant with a glass or bottle of Cabernet Sauvignon from our wine list. Stags Leap is on the menu, as well as a combination of classic and up-and-coming vintners we think really steal the show.